Make all the baby pants! 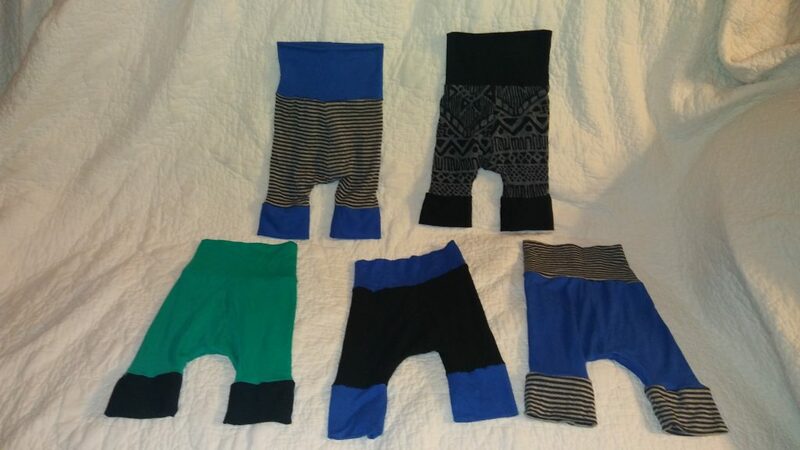 I got this free pattern for Grow-With-Me Baby Harem pants. 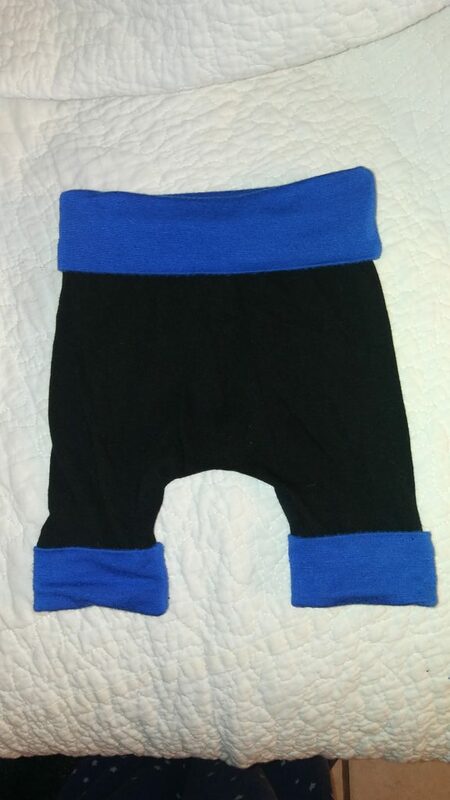 I had a blast making these pants for my new baby nephew and one of my best friends new little boy also. These pants are super cool because they are meant to grow with a baby. When they are folded up like the below picture they are for a newborn. When they are rolled out like the picture below they are for a 3 month old. 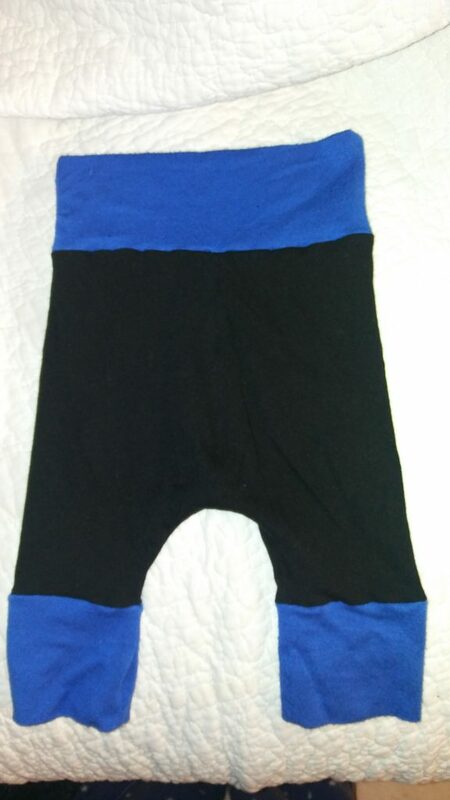 They also make these for bigger children and if these work out well I might have to buy that pattern and make more. ← Swagbucks Sponsored Post: The March Referral Bonus Is Here!